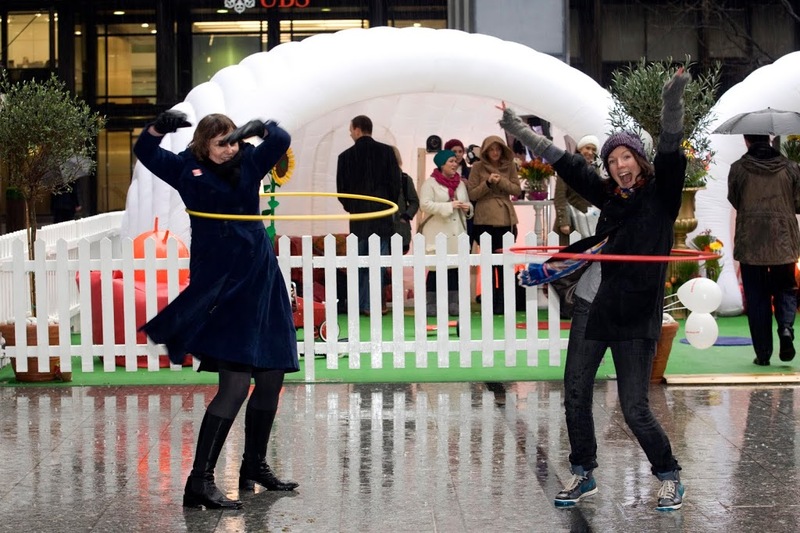 Today may be Blue Monday, the most miserable day of the year, but Golden Goose PR has turned it on its head by creating a pop-up Happy Bubble in central London for our global poverty client, ActionAid. 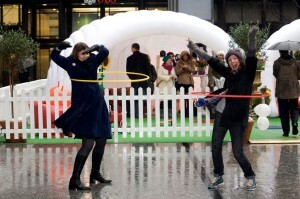 The bubble will be in Finsbury Avenue Square, EC2 from 7am til 7pm today only. Everything in it has been donated or loaned by the kindest of brand partners, including Innocent, the Toy Station, Crumbs and Doilies, Big Trak, Shok Lighting, Mornflake Porridge, The Pure Package and many more. Thank you to all of you for being so generous! We would also like to thank GSP, the award winning events agency, for making the bubble structure and bringing all the event creative together and Opinion Matters, the european survey company, for doing the research that proved that the best things in life are free. These are the findings that we based all of our Happy Bubble activity on and which, we hope, will continue to inspire more people to help the developing world with ActionAid. If anyone reading this is one of the 200,000 commuters who will pass through Broadgate today, or if you simply fancy joining in the fun, please come along and find us. We’re right opposite Liverpool Street Station!